EMERYVILLE — A lecture and book-signing with Dr. Jane Yamashiro, author of “Redefining Japaneseness: Japanese Americans in the Ancestral Homeland,” will be held on Saturday, March 25, from 2 to 4 p.m. at J-Sei, 1285 66th St. in Emeryville. Growing up in the U.S., Japanese Americans learn to understand their Japanese heritage within U.S.-based narratives of racism, cultural exclusion, and multiculturalism. What happens when they move to Japan, where different discourses and assumptions shape what it means to be “Japanese”? What difficulties do Japanese American migrants encounter in their daily interactions as they attempt to make themselves understandable in Japan? “Redefining Japaneseness” chronicles how Japanese Americans’ understanding of Japaneseness — including their own — transform while living in their ancestral homeland. Drawing from extensive fieldwork and interviews, the author reveals the diverse processes and shifting strategies that Japanese American migrants in the Tokyo area utilize as they negotiate and challenge conventional social boundaries and meanings related to race, ethnicity, culture, and nationality. “Not only does Yamashiro give us engaging portraits of how Japanese Americans navigate the social and cultural terrain of contemporary Japan, but she also provides a fundamental rethinking of the analytic frameworks by which migrant identities have been contextualized and understood,” said Michael Omi of UC Berkeley. Yamashiro was born and raised in Berkeley, where she is currently based as an independent scholar. She obtained a BA in sociology and Japanese studies from UC San Diego and an MA and Ph.D. in sociology from the University of Hawaii at Manoa. 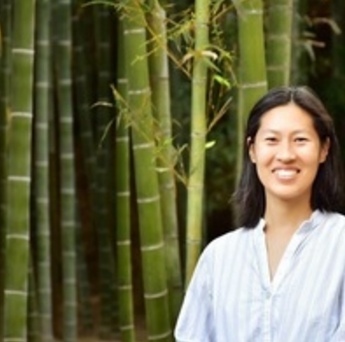 For more than a decade, she has been conducting research on Japanese American experiences living in Japan, and she herself has lived in Japan off and on for about nine years. For more information on J-Sei, call (510) 654-4000 or visit www.j-sei.org.